Researchers from Swansea University have carried out extensive trials on the invasive plant at sites in Taff’s Well, near Cardiff, and Swansea. The team tested all 19 of the main methods of controlling the plant. They say eradication is not possible, but working with the plant’s biology produces the best results. The methods used were physical, chemical and an integrated approach. 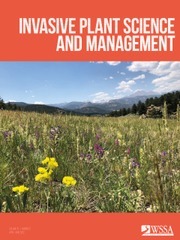 Prof Dan Eastwood from the project said: “Basically, we’re discovering how best to tackle invasive plants in real world conditions, informed by evidence of what actually works. We began focusing on knotweed at a time when there was a great deal of hysteria surrounding it. Scott Rees discovered he had Japanese knotweed in his garden in Morriston, Swansea, a few months after buying his house. He had employed a gardener who spotted it straight away. “I didn’t think much of it but he seemed obviously quite concerned about it,” he said. He said if he had known of the issue he would have reconsidered buying the house. Dr Dan Jones, the founder of a consultancy that solves complex invasive plant species problems, said: “Off the back of the first three years of data we’ve found that eradication is not possible. Hopefully over the longer term we may move towards that by using new chemicals we’re looking at. 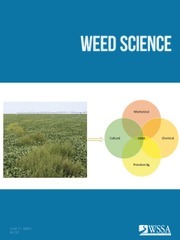 The trials covered the four main herbicide groups used in weed control. The chemical found to be the most effective was glyphosate. 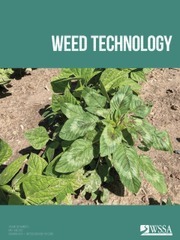 However, very low doses were applied – the lowest of all the other herbicides used. Dr Jones added: “There’s a range of issues in terms of risk and hazard. There’s a political issue around glyphosate as well. David Gregson a chartered surveyor who provides specialist advice on the issue, said the plant was a very common problem in the south Wales Valleys areas, with Swansea particularly badly affected. He added: “The main problem is mortgage lenders are very reluctant to lend on properties where knotweed is present and obviously that means in turn people can’t sell their properties and it might sometimes be because knotweed is present in the next door garden. The original news article can be accessed here. This entry was posted in Weeds in the News.